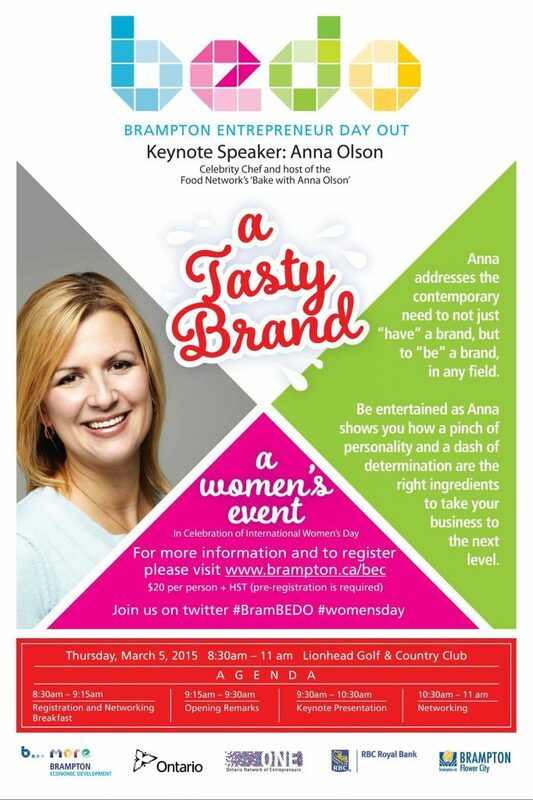 The Brampton Entrepreneur Centre’s annual women’s event features celebrity chef Anna Olson sharing her recipe for creating an irresistable brand for any business. Anna addresses the contemporary need to not just “have” a brand, but to “be” a brand, in any field. Since everyone enjoys eating, guests from any background can relate and connect with Anna’s culinary analogies. In celebration of International Women’s Day, join the Brampton Entrepreneur Centre at Brampton Entrepreneur Day Out.